With us you will crush your quota. Again and again. 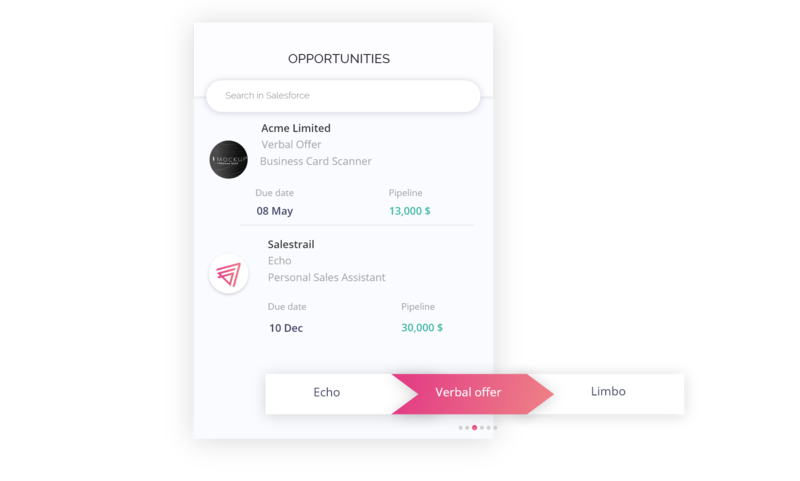 We deliver an AI-powered sales platform to guide teams to build a better sales pipeline and close more deals. We make salespeople unstoppable. 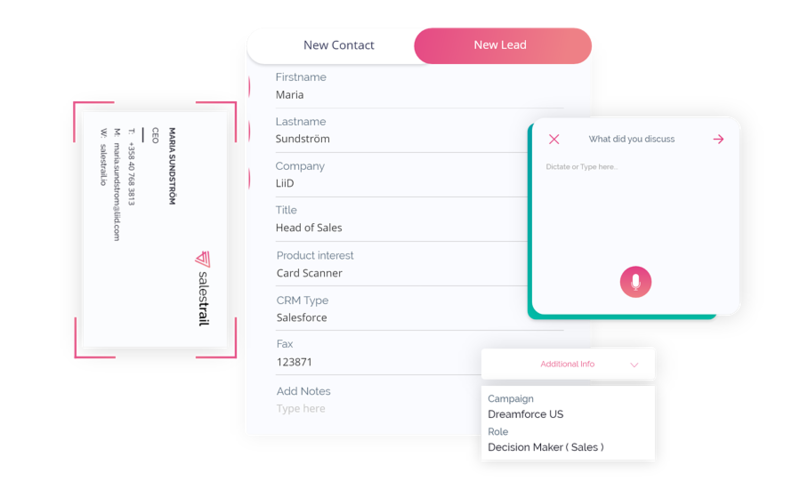 Our solution integrates seamlessly with the sales cloud, logging 100% of your client conversations in Salesforce. We clear the way, so sales can focus on doing what they do best. For teams doing mobile sales, logging activity and managing tasks can be a drag. With us you sync your mobile calls seamlessly with Salesforce with no additional hassle. 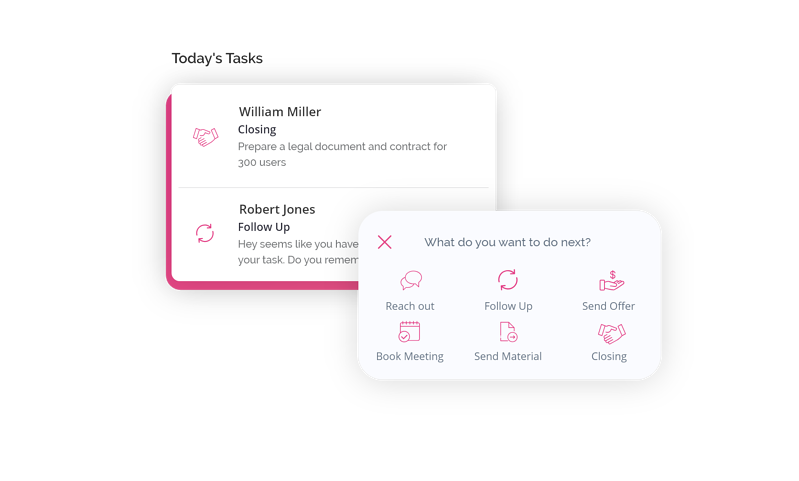 Have all your sales emails and their content on Salesforce instantly, with the additional ability to create new leads and contacts with every new opportunity. 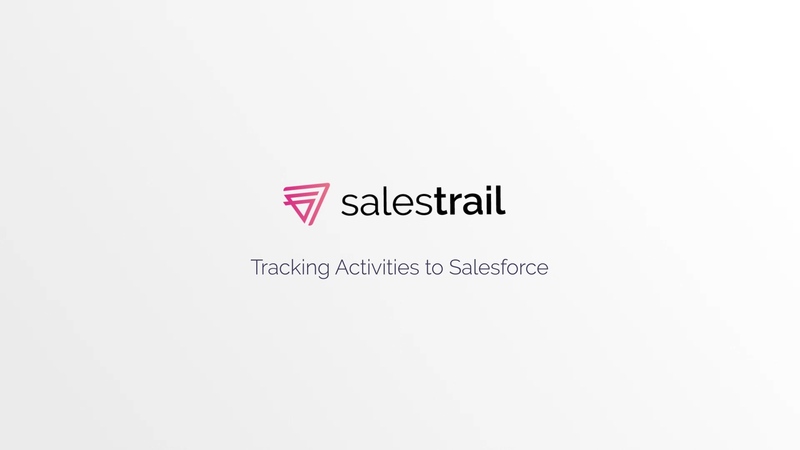 Ever wished for a way to have all of your meetings on Salesforce without having to place them there yourself? Look no further. Create a culture of performance! 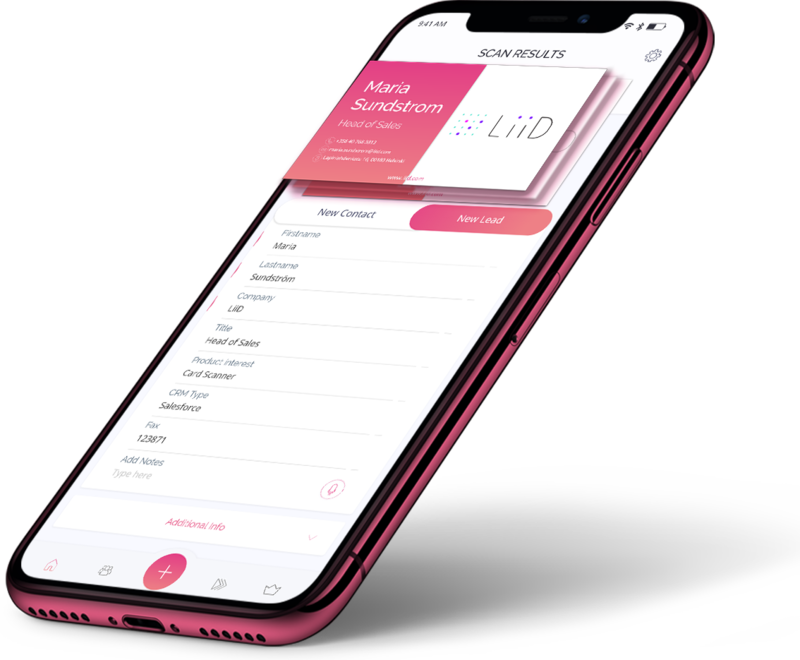 Our solution comes with action buttons and instant feedback alerts to push people towards excellence. 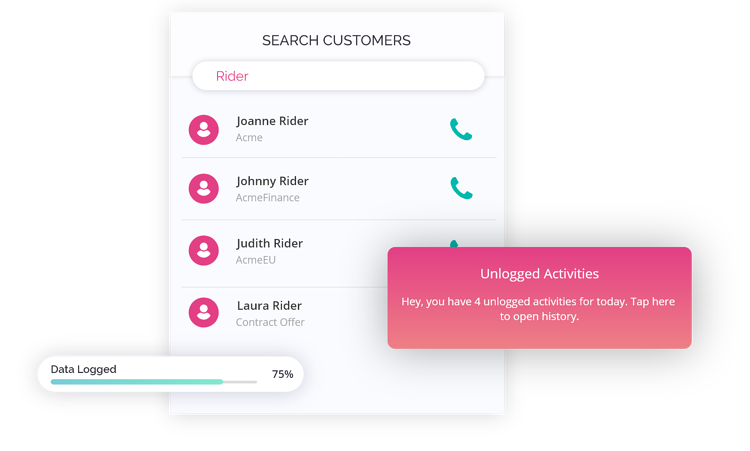 Social recognition and our AI based smart suggestions on whom to call will boost the sales of your team. Ensure every sales activity takes your reps closer to their target. 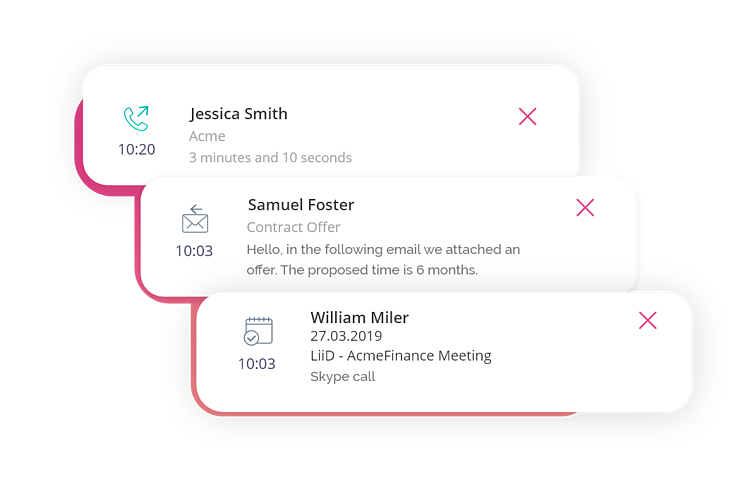 Our solution encourages salespeople to work systematically and to always plan the next task immediately after a call or a meeting. In sales, sometimes it’s the routine. Data is King! Use custom fields and workflows to track the info that’s most important to your team. Our speech-to-text feature makes data capture quick and easy. Hone your sales process to increase your conversion rate. Our solution focuses the minds and efforts of your salespeople on their pipeline. Nothing falls through the cracks with our AI suggestions, notifications and alerts on what to do next. Create a winning culture by celebrating success. 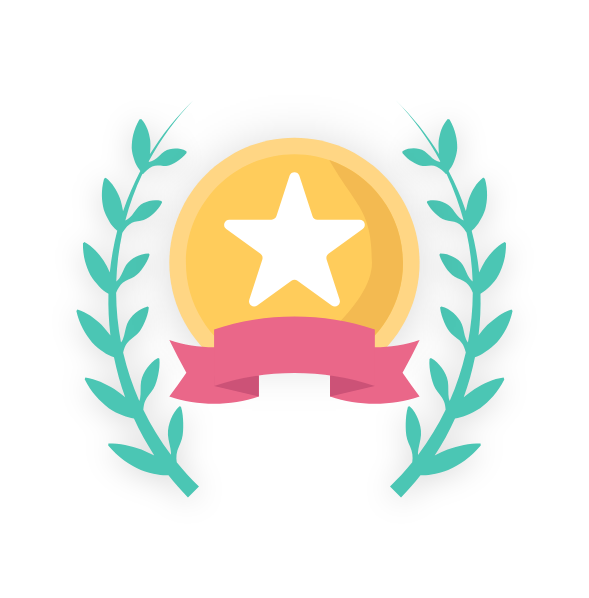 Our solution analyses your salespeople's performance and highlights successful behaviour. Let your best sales stars shine bright and set the example. We'd love to tell you more about how we can help your sales team reach their potential.